AH! Okay, I know it’s been a while since I’ve posted, but I’ve been quite busy…Moving to Spain is serious business! 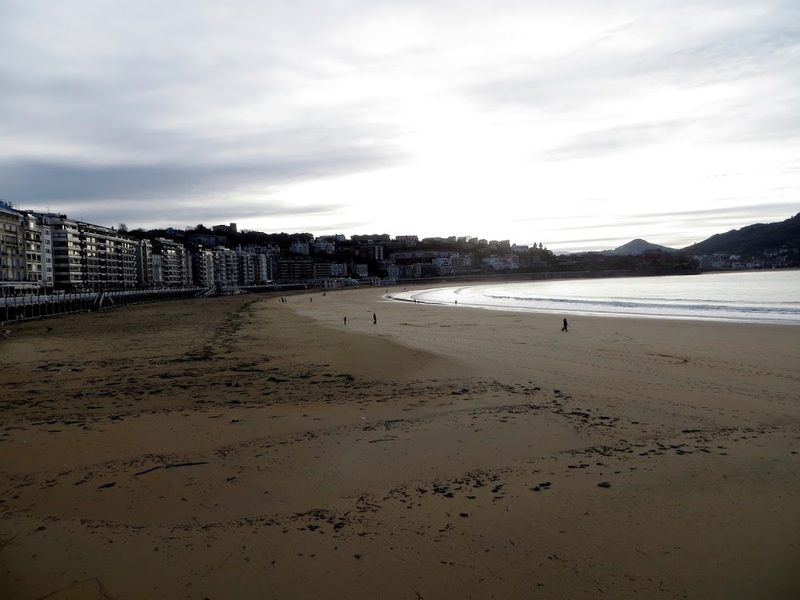 Now that I’m here and settling in to my amazingly wonderful city (San Sebastián /Donostia /Donosti…never know which name to use anymore! They all work! 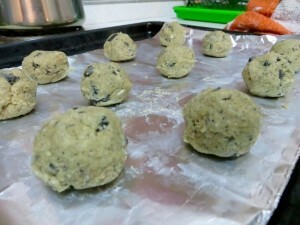 ), I have been able to work around finding ingredients here and using a celsius oven etc. Let me tell you, it has been an incredible past couple weeks. San Sebastián is everything I wanted it to be, and more. It’s beautiful. Even in the pouring rain (it’s rained literally every day I’ve been here) and thunder/lightening (crazy storm yesterday), I couldn’t be happier with my choice of city to study abroad in. 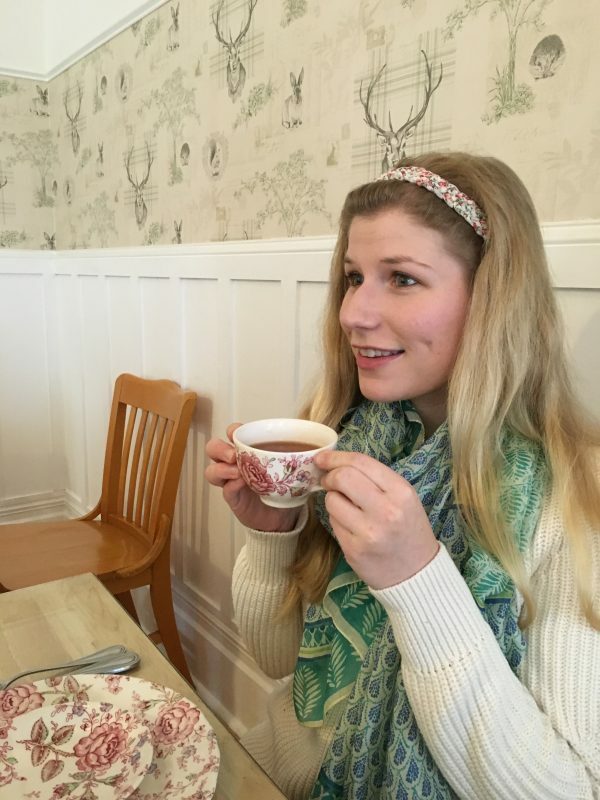 To hear more about my Spain adventures, head over to my other blog: La Primavera en España. 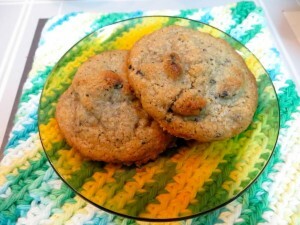 So, these cookies! 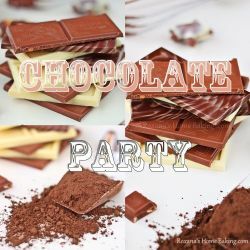 I’ve been wanting to participate in January’s Chocolate Blog Party since New Year’s, but I’ve just been too busy getting everything together for Spain that I wasn’t able to until now! So here’s my contribution to the party! 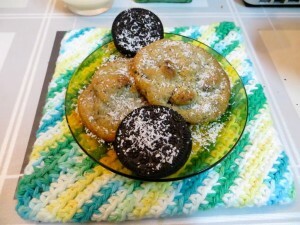 I made cookies with coconut and crushed up oreos! 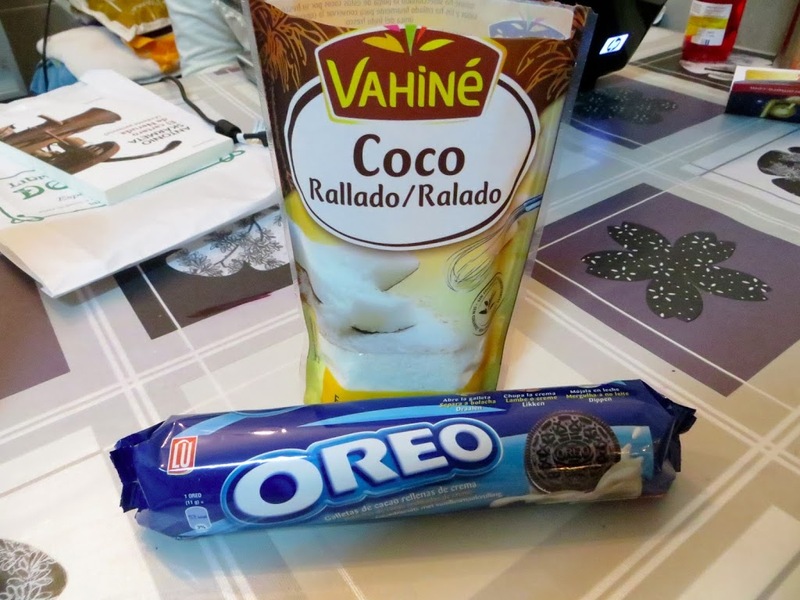 I had picked up some oreos out of nostalgia for American things in my last trip to the Super Amara (fantastic grocery store a block away from my apartment), and had been keeping my eye out since I got here for any kind of coconut. Finally yesterday, I got up the courage to ask a cashier where it would be (en Español por supuesto), and got some desiccated finely ground stuff that I had to make do with! Preheat the oven to 190 degrees celsius (or 375 degrees F). Because I am without my wonderful Kitchenaid mixer Sebastian (I miss him already! ), I did this in a bowl with a wooden spoon by hand! But feel free to make them quicker with a power tool. 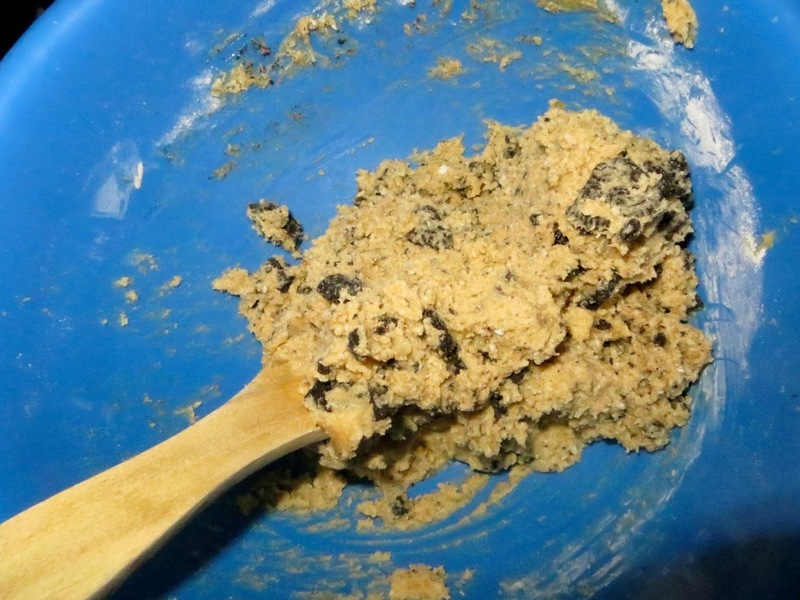 In a medium bowl beat together butter, vanilla, sugar, and salt until creamy. Then add the egg and mix until fully incorporated. 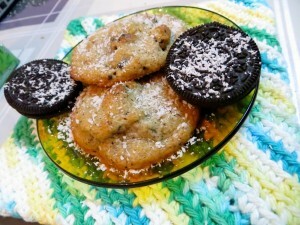 Add the flour and coconut, and stir until all ingredients are wet, and then fold in the oreos! Scoop onto a cookie sheet lined with parchment (2 tablespoons of dough per cookie is good), and bake for about 8 minutes (timing will vary with the oven!). Let cool for about 5 minutes before moving to a cooling rack. Our program didn’t have any information to give us about our housing until we arrived in Spain…and man, I was so worried when I was moving here that my kitchen wouldn’t have an oven and I’d never be able to bake anything! 😀 So happy that I do, and I have two great roommates to eat my creations haha. 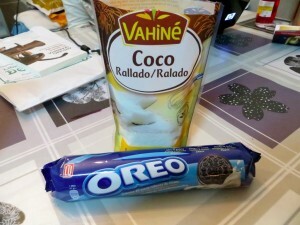 I’m going to be doing an internship at a bakery here in Spain soon! Can’t wait to begin! Congratulations on the move, Sophia! How exciting. How long are you going to be there? These cookies look amazeballs – you’re brilliant for combining the coconut with Oreo cookies. Thank you! 🙂 I’ll be in Europe until July! It’s quite the adventure indeed, and I’m loving every second of it so far! Thanks for reading/posting!